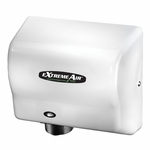 Delivering Cost Effective Customer Delight All the power, performance and flexibility in half the size of standard dispensers, 3000 sprays per refill. Smaller refills require less storage space and produce less waste. Weight: 3 lbs per case. Net Weight per Can: 2 oz. Unit: 1 case of 12 refills. Fragrance: Ocean Breeze.